1. Smart appearance with unique design on mainframe. Easy using on treatment operation. 2. Accommodate to pigment nine teeth, internal pigment teeth, tetracycline pigmentation teeth and dental fluorosis. 3. Nicer whitening effect, 5-8 steps(VITA) to be boosted for one period of treatment. 4. 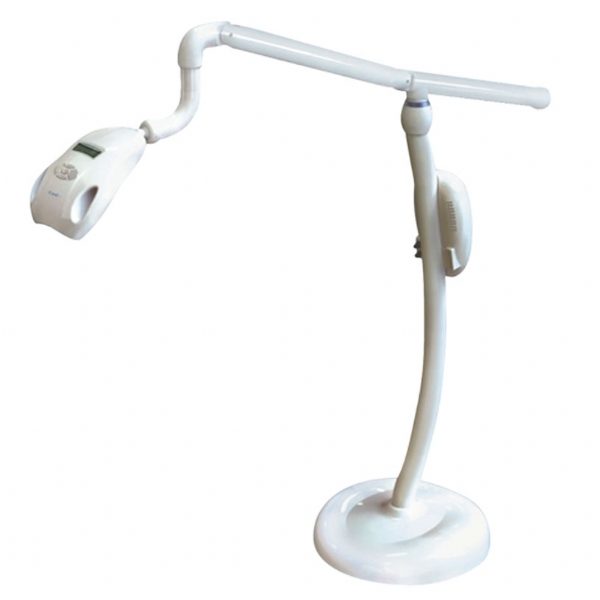 Specialized whitening cold blue lights, low heat remain to ensure the patients comfort. 5. Totally 8 blue LED lights, supplying plenitudinous cold light luminescence. 6. Multi-security design, guarantee the safety of patients and doctors. LED: 2 groups: 4 pieces per group, total 8 pieces. LED span: 10 thousand hours.